Since the 2005/6 season, Toolstation has supported "grass roots" football through sponsorship of the Toolstation Western Football League - one of the most vibrant and well-supported football leagues in the UK, which was awarded Charter Standard status by the Football Association in 2012. From the 2013/14 season, Toolstation is also the sponsor for the Toolstation Northern Counties East Football League. This too is a league with a very large following and fascinating history, and also boasts FA Charter Standard status, having been the first league at its level to achieve the award, in 2011. Clubs within these leagues play an important role in their local communities, by providing social and recreational facilities that might otherwise not exist, especially for young people. Results from the Western League and the Northern Counties East League are featured regularly in local and national newspaper results services. Toolstation are proud to be part of a community in which a large proportion of our customers are part of. Toolstation is one of Britain’s fastest growing suppliers of tools, accessories and building supplies to the trade, home improvers and self-builders. 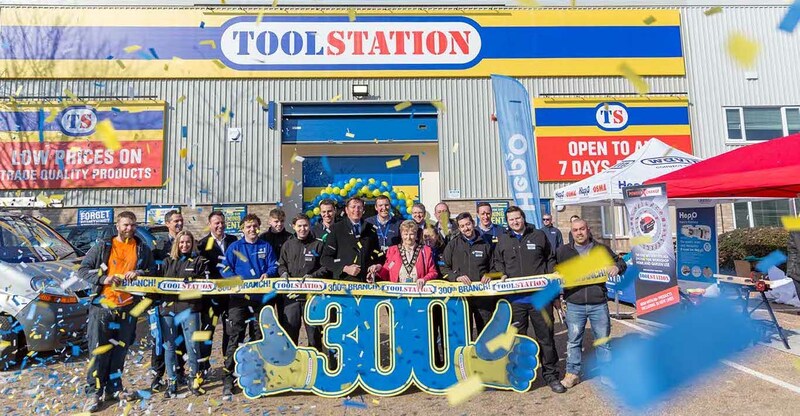 With a multi-channel offering, Toolstation customers can buy online, at over 300 branches across the UK and through our dedicated UK call centre. Offering a lot more than tools; electrical, plumbing, screws, fixings, trade essentials and top brands make up just some of the 11,000+ stock products in branch and a further 4,000+ available online. With a growing amount of branches, now reaching over 300 nationwide open early til late, 7 days a week. So, wherever your next job is chances are there will be a Toolstation close at hand.